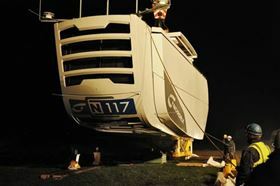 The N117 is expected to enter series production in mid-2012. With a length of 58.5 metres, this is Nordex’s first blade to be made from carbon fibre. 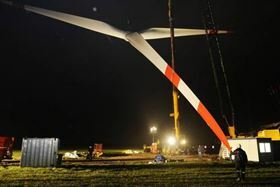 The wind turbine installed at the Stadum site has a hub height of 91 m, and is expected to produce around 9.9 GWh annually at am average wind speed of 7.4 m/s. 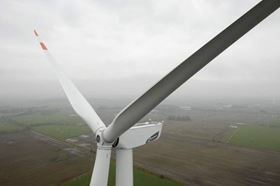 The N117 wind turbine has a rotor diameter of 117 m and a rotor sweep of 10,715 m2. In typical IEC-3 locations, the N117 wind turbine is said to achieve a capacity of over 3500 full-load hours, exceeding other turbines in this category by 20%, meaning a capacity factor of 40%. With a length of 58.5 m, this is Nordex’s first blade to be made from carbon fibre, which gives a weight of only 11 tonnes.